Last week, while I was waiting for the subway, I noticed a poster with a quote from Margaret Mead, a cultural anthropologist, that said, “Never doubt that a small group of thoughtful committed citizens can change the world. Indeed, it is the only thing that ever has.” I was immediately struck by the truth and challenge in these simple words. As a “recent” college graduate who’s still paying off her student loans, I’m limited in how much I can commit to the organizations that I believe are making a difference. I’ve wondered if my small contributions have any power to affect change, but I believe that changing the world is not just a task for the wealthy. It requires all of us, regardless of our means. It’s “can do” attitude. It’s a responsibility. That’s why I’m sharing the best ways I’ve found to support effective charities and make a difference on a limited budget. First, create a budget and calendar. Consider your annual income and expenses and decide what you are comfortable setting aside for charitable giving. Remember, giving to a 501(c)(3) organization is tax-deductible. And, determine when you’ll make your gifts to the organizations you choose to support. Will it be mid-year when you receive your annual bonus? Or, at the end of the year when all of your annual expenses have been paid? Second, take a few moments to think about what makes you tick. What do you love? What frustrates you? If you could be remembered for changing the world in one way, what would it be? Perhaps you love hiking and you want to help others find their passion for the outdoors. Maybe you’re frustrated that there is still no cure for cancer. Or, you might want to improve child and family literacy rates in your city. Once you’ve identified what you’re passionate about, you can find an organization to partner with in their quest to change the world. 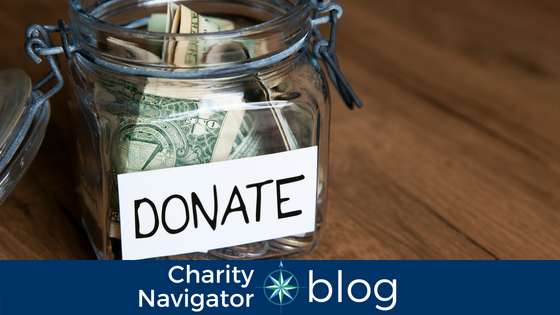 Charity Navigator’s Advanced Search Tool and Discover feature are great resources for this. They can help you quickly identify charities that are working locally, regionally, nationally, and internationally on the issues that matter most to you. As a former fundraiser, I can say that charities benefit from donations of all sizes. Remember Margaret Mead’s sage advice -- individuals don’t change the world, groups do. While major gifts are an important revenue source for most nonprofits, individual donations are also necessary. Never feel like your gift is too small to make a difference! A diverse support base, that includes gifts from passionate supporters, makes charities more sustainable. 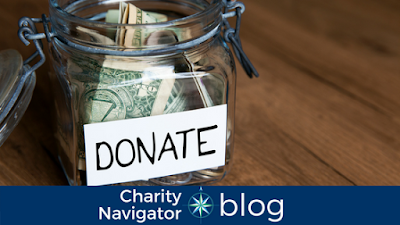 At Charity Navigator, we recommend limiting the number of charities you support. Rather than supporting 10 organizations with $10, considering supporting 2 organizations with $50. This is more beneficial to the charities and increases your investment in their work. Go back through the list of charities you created. Take a few moments to dive deeper into their Charity Navigator rating pages and the information they provide on their websites. Cross off a few until you’re comfortable with the ones that remain. Commit to using your budget and calendar to support these charities with a financial gift. Donating items like books, toys, clothing, eyeglasses, and pet supplies, is a great way to support charities on a limited budget. Books and toys can be hard to part with, but knowing they’ll have a great second life can make it easier! Check out our post on donating your these items to a local organization to help a neighbor in need. Most of us clean out our closets once or twice a year (or, if you’re like me, three or four). The next time you do, create two piles. In the first, put clothes you don’t wear because they are stained, damaged, or too worn, and plan to discard them. In the second, put gently used clothes that you no longer wear, and plan to donate them. Often, a local thrift shop or human services organization will accept them. You can use Charity Navigator’s Advanced Search Tool to find an organization in your area. If you wear glasses, like I do, you probably have an old “spare pair” stashed in your nightstand, or the car, or shoved somewhere in the back of a drawer. Consider rounding them up (honestly, how many spare pairs do we need?) and donating them to an organization that will fit them for a person who cannot afford prescription lenses. Our Healthy Vision Month post features a number of great organizations that are providing vision services to individuals in families in the United States and around the world. Finally, for all of the animal lovers out there, many local animal shelters will accept donations of old pet toys, unused bags of food and litter, and even old blankets and towels. Take a look at our list of items to consider donating to your local shelter -- I know I have several of these things laying around the house! Find a few moments today to reflect on Margaret Mead’s thoughtful words. Changing the world requires all of us, whether we have deep pockets or not. How will you step up? So what would you considerto be the minimum contribution that would be worthwhile to a charity? -If your charity budget is larger than $100 and you are interested in a wide variety of charitable organizations. It's hard to say, but if you're able to narrow your list down to 1-2 charities per issue/cause you care about, that's probably best. However, it has to be what you're most comfortable with. I am retired and on a limited budget. I opted to have $25/month automatically sent to my favorite charity. I can afford that and at the end of the year I've given more than I could have at one time. That's a great way to give! I'm sure the charity you support appreciates your monthly gift, too. Monthly donations provide more steady income to nonprofits throughout the year so they don't need to stress so much about raising revenue the last few days of the calendar year.